All of our lives are mosaics, fragments of experiences that come together to make us whole. 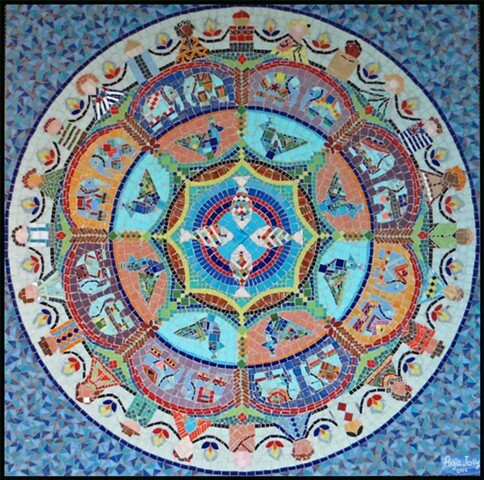 As a mosaic artist I aim to bring my own fragments together - my faith, my love for art and education, travels to worlds and cultures afar, my treasured roles as wife, mother and neighbor - that reflect how I live my life. I make liberal use of vibrant colors and texture to capture the emotions of life being lived in relationships, in nature, in floral designs and in timeless themes. My hope is that as you experience images in my gallery, it may help you see life a little more beautiful and enlightening.